Limit one per customer. Not valid with other offers or prior purchase. L-M Body Shop, Inc. is located in Totem Lake, next to Kirkland, and has been reliably serving the Eastside for 23 years. L-M is a very friendly family style business which uses the latest repair and estimating technologies, so that you get the results you are happy with. 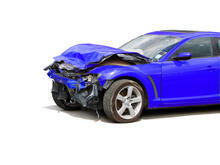 All the major insurance companies work with us to get your car repaired quickly. You can be completely confident when having your vehicle repaired by L-M Body Shop, since we are highly regarded in the local business community, and have had an A+ rating with the Better Business Bureau for the past 15 years. Our employees are well-trained and experienced experts, who have been with us from 10 to 23 years. We work continuously with state and local agencies to keep L-M Body Shop one of the cleanest and most environmentally friendly companies in our industry. We are very proud to be a member of Green Works, and King County businesses for clean water. We were one of the first collision repair shops in Washington to have a 5-Star rating with Envirostars. L-M Body Shop’s philosophy is to treat all our customers the way we would treat our own family members. We do all repairs correctly, to your full satisfaction, and you will drive away with a clean car inside and out. We will touch-up future scratches at no additional cost to you. Please call us or drop by for a Free, no-obligation, written estimate of the repairs needed to have your vehicle looking like new.